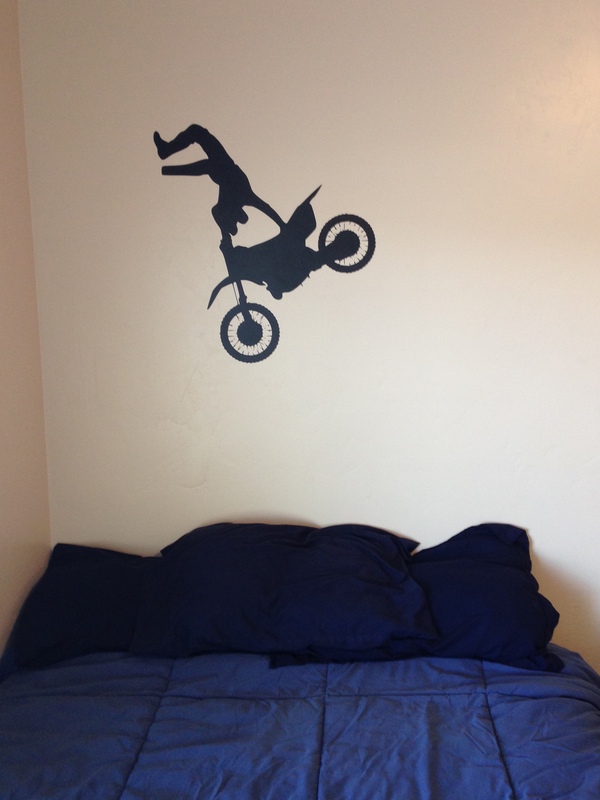 Project for a college student’s bedroom at Brigham Young University Idaho. Features a dirt bike rider performing a trick. 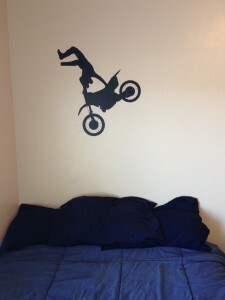 Vinyl on the Wall can design any decal you need. Please check out our custom vinyl lettering tool for vinyl lettering, product page for pre-designed decals that we are constantly adding additional designs for your walls or cars, or contact us to create your own custom vinyl decal.